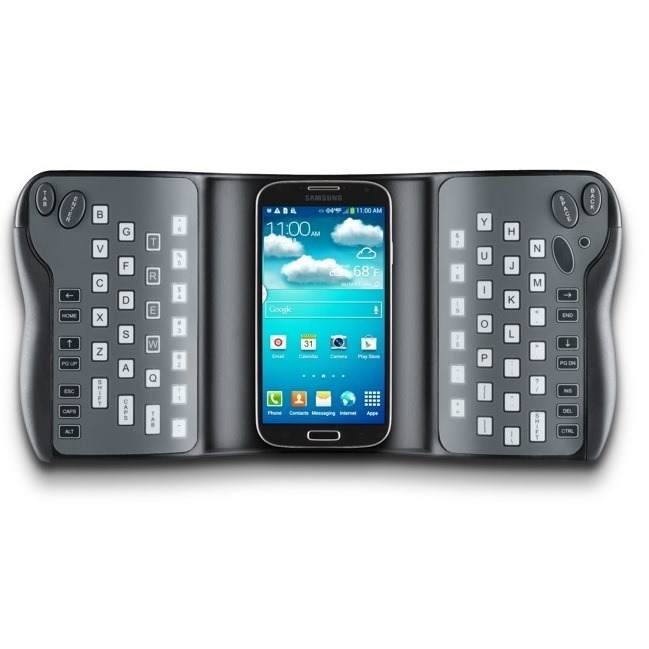 There have been plenty of times over the course of many lengthy emails sent from my smartphone that I've wished for a keyboard shaped like something between a heavily armored headless bird and a stingray that's missing its tail. Okay, I may not have worded the wish quite in that way, but the point is that a new Kickstarter project is available that promises to make it come true nonetheless. 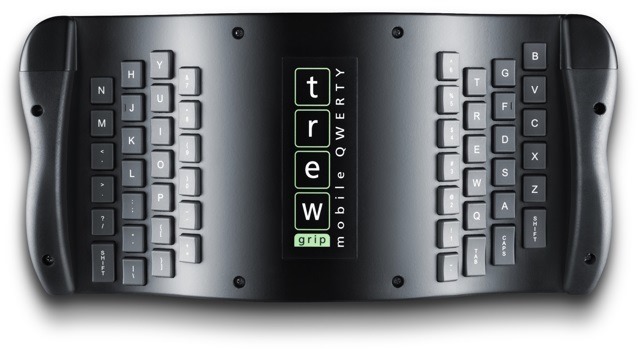 The TREWGrip Mobile QWERTY is a handheld typing device and mouse that will give your smartphone wings. The TREWGrip wants to give mobile typists an alternative to the on-screen "hunt-and-peck" game we've been playing for years. 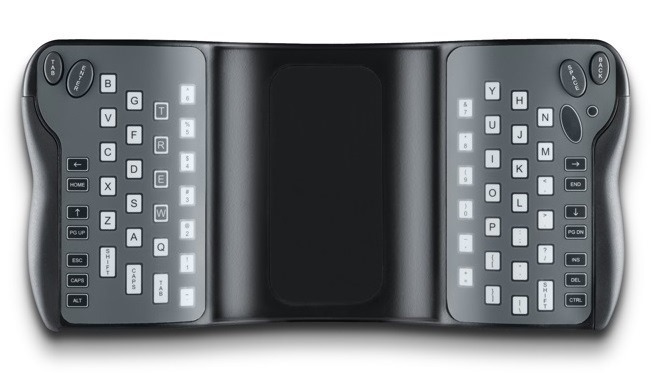 Unlike most other Bluetooth keyboards, this accessory has a built-in mouse and intends to be usable while walking. 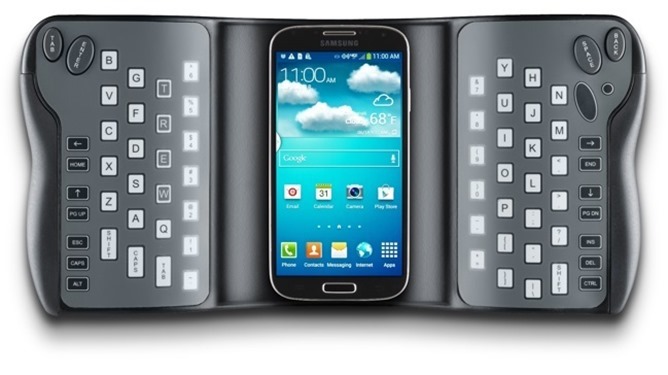 Its wonky curvature is there for users to more easily grip the device with two hands. 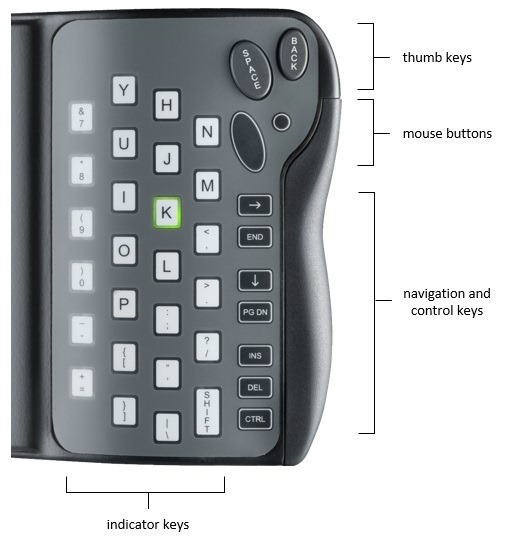 There are buttons on both sides and the grips can be removed or replaced, allowing users to type using whichever set of keys they prefer. 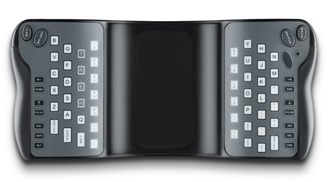 Quirky appearance aside, there is a real draw for a device like this. 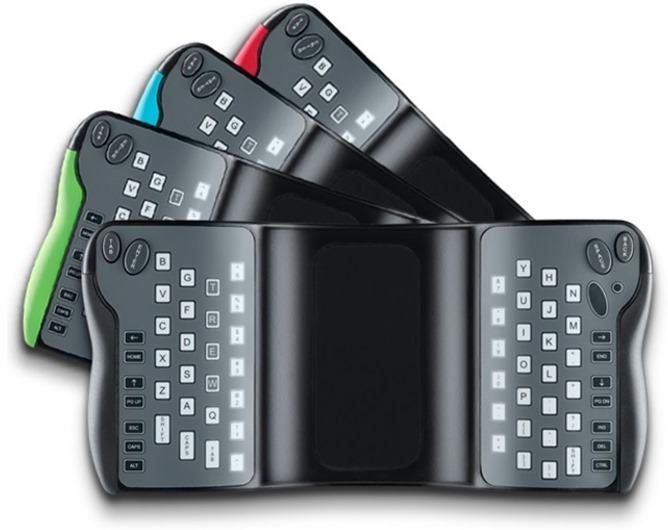 There may already be Bluetooth keyboards that can integrate with desktops, TVs, tablets, and smartphones, but they generally are either too small for heavy typing or large enough that they work best resting on a flat surface. The TREWGrip, if it lives up to its promise, will be comfortable to use sitting on the couch, standing in line at a restaurant, or while trying to stay in touch during the morning jog. 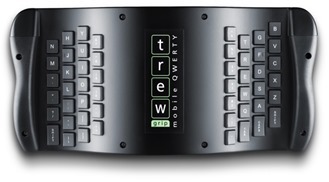 The TREWGrip uses Bluetooth 3.0 and has a lithium ion battery that can be charged using, thankfully, a micro USB cable, and it will ideally have ten hours of battery life. It will weigh just over a pound, and it comes with one set of small, medium, or large rubber grips. Each are available in black, green, blue, and red. I imagine this is one of those proposals that you either love or you hate, but if you happen to be on the fence about this, the price might sway you one way or the other. While it's possible to pledge less and get your hands on a t-shirt, you will need to pledge $249 or more if you want to receive a TREWGrip when they've scheduled to ship in February. The project has raised over ten percent of its $100,000 goal so far, and there's still 22 days left to go for anyone who wants to jump in.